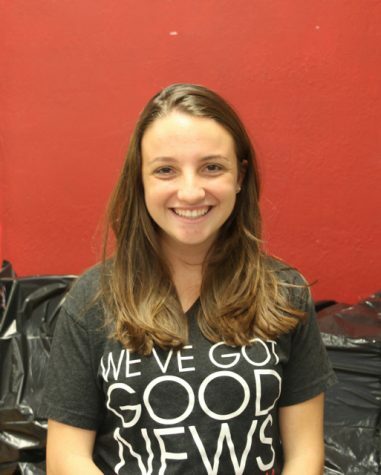 Annie Farrell is a senior in the International Baccalaureate (IB) program at Coral Gables Senior High School. A seasoned Cavalier, Annie is involved in all corners of Gables. Apart from being a Copy Editor for CavsConnect, Annie is also Senior Class President, NHS Club Liaison and captain of the cross country team. She is also a member of IBHS, Gables Earth, and the varsity track & field team. Outside of Gables, Annie is involved with Girl Scouts and the Youth Advisory Committee for The Children's Trust of Miami-Dade County. Annie is extremely organized, dedicated and hard-working. She is currently trying to channeling these qualities into the application process for college, where she dreams of finding a major that combines her passions for the natural sciences, politics and advocacy. Whenever Annie is not organizing activities for her senior class or writing college essays, she enjoys relaxing at home with her two cats, Oliver and Sammy Davis Jr. Annie also tries to spend as much of her free time as she can out on beautiful Biscayne Bay. Her ideal weekend is spent on her family's boat, fishing and swimming off the coast of Miami, then at home, reading a book alongside her soft sidekicks. Annie is looking forward to graduation, but is eager to tackle the school year and make some quality memories with long-time friends.